Be seen or hide away among the greenery. The true meaning of versatile, this reversible vest has it all. 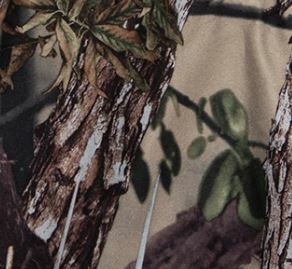 Featuring buffalo camo for those wet hours hiding in the reeds or flip inside out to get your blaze camo on while stalking through the bush. Featuring 160GSM of cozy padding, high collar and pockets on either side, it covers everything you need in a shooting vest that can be used all year round. With the convenience of different styled pockets on either way you decide to wear the vest. Water resistant, 100% polyester tricot (2 layers).